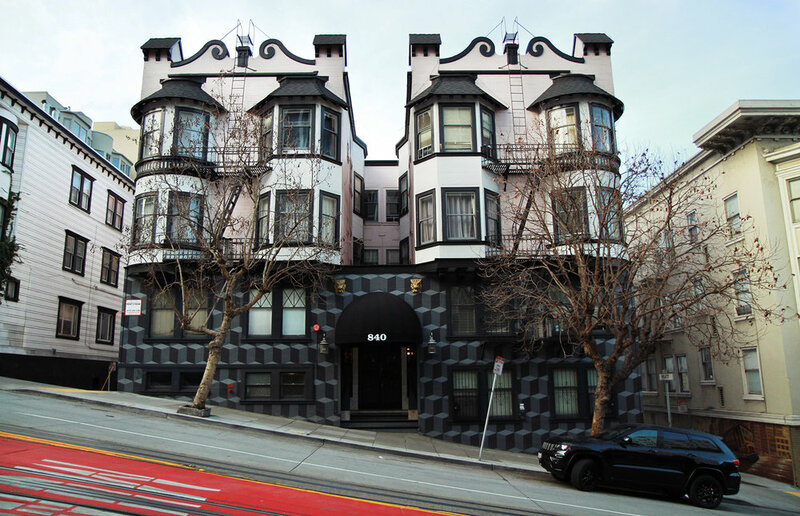 Interesting architecture and design found in San Francisco. 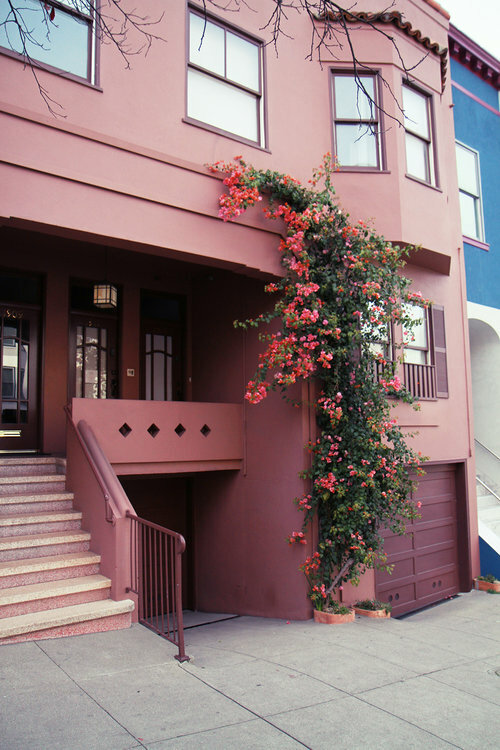 Pink flowers growing on the side of a home in San Francisco. 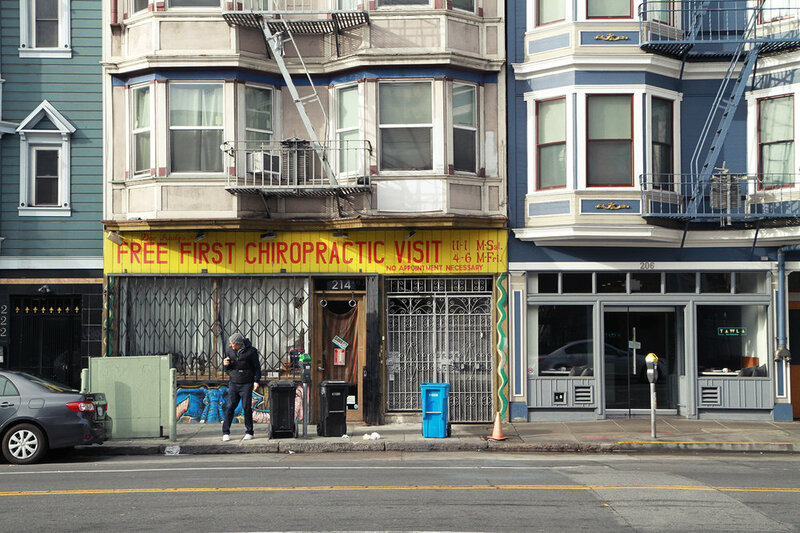 A street photo of hand drawn signage & architecture in San Francisco. I love the colors used throughout the city, it’s something you don’t see much in New York. A green townhouse in San Francisco with someone standing in the doorway. Flowers found in a garbage in the Chinatown area of San Francisco. 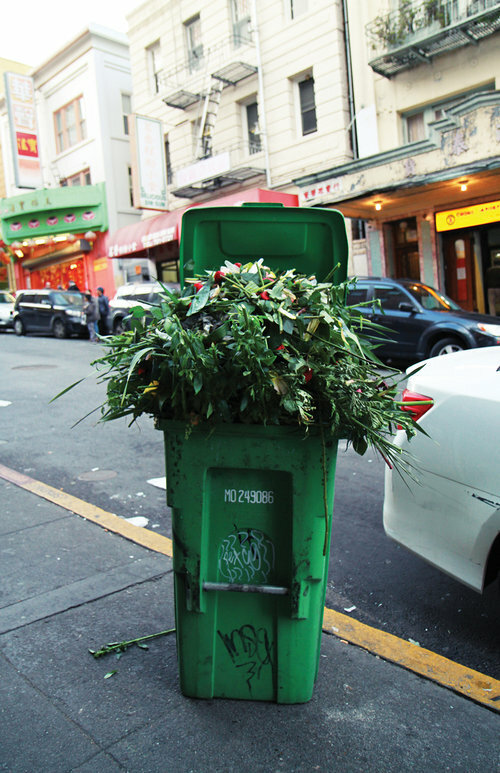 I’ve never been a huge fan of flowers as gifts, since I believe they just get discarded anyway..
Nick’s Foods, San Francisco (2018). 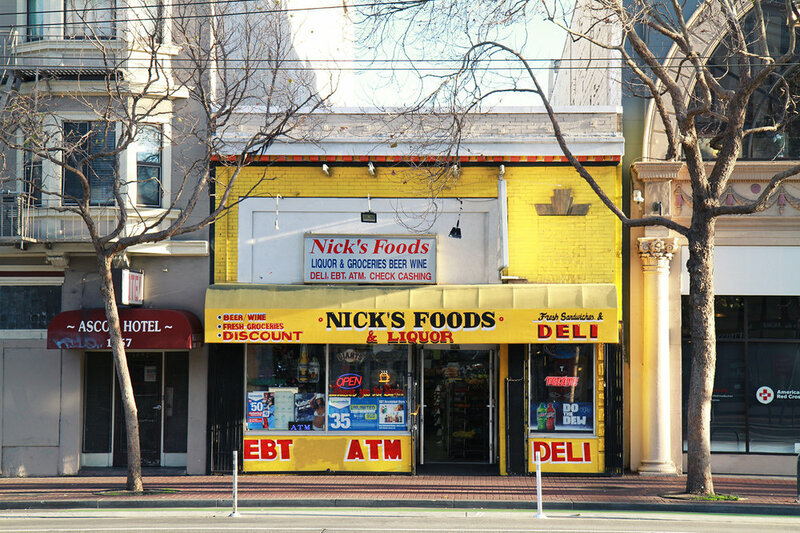 A man standing outside of Deena’s Market in San Francisco. Several elaborate signs trying to attract customers in San Francisco. 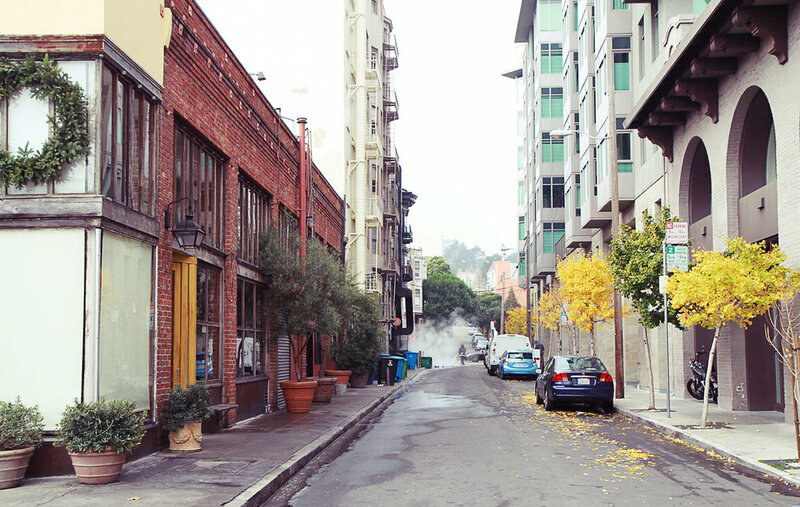 A quiet side street in San Francisco. This was taken during an early morning walk in late December.